This study explores linkages between what Chinese managers generally know about environmental issues, how strongly they value environmental protection, and different types of behaviours/actions they may take within their organizations on behalf of the environment. From a sample of 305 managers in Guangzhou and Beijing, it was found that both environmental knowledge and values are more predictive of more personal managerial behaviours, such as keeping informed of relevant company issues and working within the system to minimize environmental impacts, than more overt behaviours. Moreover, for these more personal actions, environmental knowledge and values were found to have both main and interactive effects. 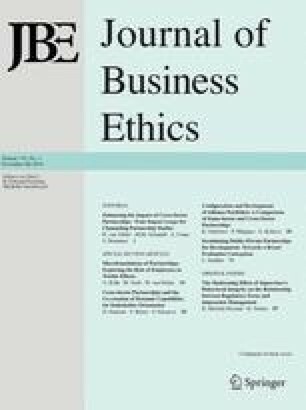 By comparison, it was found that both environmental values and knowledge had additive effects on managerial tendencies to initiate new programs within their domain of responsibility. Only environmental values was found to have a modest influence environmental advocacy.